I’m sorry.. did you say Reese’s for breakfast?! Heck yes! 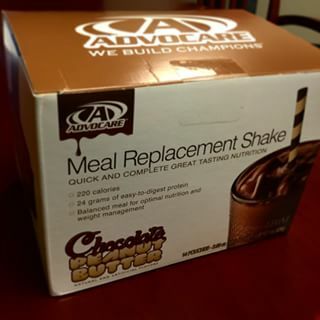 I know that I talked about using Advocare Meal Replacements in one of my previous posts about adding protein. But I gotta tell you about the new flavor– Chocolate Peanut Butter. They just released the new flavor a week ago, and it might not be around long. I like it blended with a banana and ice cubes or if I’m on the run, I can always shake it up with cold almond milk. I always have one in my purse and in my desk as work that I can have with mixed with water for an emergency snack. I have always like the chocolate, but this new flavor is super yummy! I’m thinking about making Protein Brownies with them or something… be on the look out for that recipe!